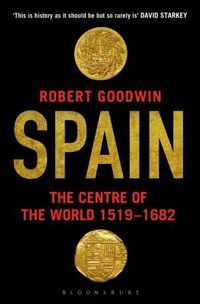 An epic history of the Spanish empire in North America from 1493 to 1898 by Robert Goodwin, author of Spain: The Centre of the World. At the conclusion of the American Revolution, half the modern United States was part of the vast Spanish Empire. The year after Columbus's great voyage of discovery, in 1492, he claimed Puerto Rico and the Virgin Islands for Spain. For the next three hundred years, thousands of proud Spanish conquistadors and their largely forgotten Mexican allies went in search of glory and riches from Florida to California. Many died, few triumphed. 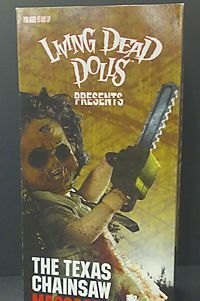 Some were cruel, some were curious, some were kind. Missionaries and priests yearned to harvest Indian souls for God through baptism and Christian teaching. 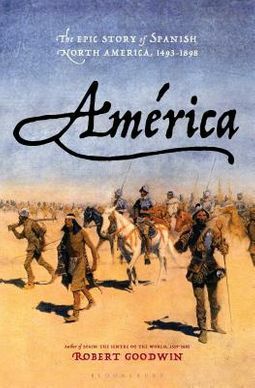 Theirs was a frontier world which Spain struggled to control in the face of Indian resistance and competition from France, Britain, and finally the United States. In the 1800s, Spain lost it all. Goodwin tells this history through the lives of the people who made it happen and the literature and art with which they celebrated their successes and mourned their failures. 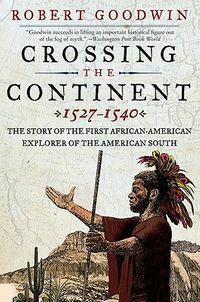 He weaves an epic tapestry from these intimate biographies of explorers and conquerors, like Columbus and Coronado, but also lesser known characters, like the powerful Galvez family who gave invaluable and largely forgotten support to the American Patriots during the Revolutionary War; the great Pueblo leader Popay; and Esteban, the first documented African American. Like characters in a great play or a novel, Goodwin's protagonists walk the stage of history with heroism and brio and much tragedy.